From amphibious automobiles to record-breaking supercars, get behind the wheel of the craziest cars on the planet! 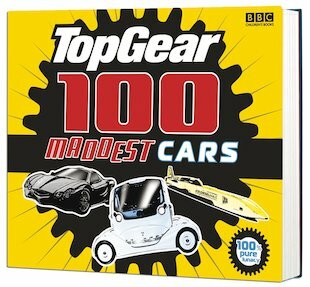 In this breathtaking book, you’ll witness a truly bonkers collection of the nuttiest motors the Top Gear experts have ever seen! Some are amazingly ambitious, some are wild and wacky, and others are downright rubbish. But all of them are the strangest things ever spotted on four – or more – wheels! Grab all the photos, facts and stats on the mad cars that make even The Stig look normal! This book has allsorts of odd cars half I have never heard of. Great Book. My Geography teacher said it wasn’t a reading book. WHY? IT HAS WORDS IN IT.